Hmmm … it’s taken me a while to get back to my so-called series on Canberra’s writers. Over a year ago I wrote posts on Capital women and Capital men poets, and fully intended to write about the fiction writers last year too, but somehow the year got away from me. However, today is Canberra Day, the day we celebrate the “birth” of Canberra, and so it seemed like a time to get back to my series. As I did with the poets, I’ll start with the women, some of whom you’re sure to recognise from other posts. I don’t know whether you all had young families when you began your reading group in 1988, but half of us had small children, when 7 Writers started in the early 1980s. I remember Margaret Barbalet bringing her twin boys, and I quite often took my daughter – it was that, or not go to the meeting. I also remember that we held a small celebration when the combined number of our published books finally outstripped our total of children and grand-children! Lovely story eh? The seven were, in alphabetical order: Margaret Barbalet, Sara Dowse, Suzanne Edgar, Marian Eldridge, Marion Halligan, Dorothy Horsfield, Dorothy Johnston. I have reviewed some here – Suzanne Edgar’s collection of poetry The love procession, Marion Halligan’s Valley of grace, and Dorothy Johnston’s The house at number 10 and Eight pieces on prostitution. Long before blogging, I read several others by Halligan and Sara Dowse’s West block. I still, to my embarrassment, have a book by Margaret Barbalet in my pile! Several of these authors are excerpted in Irma Gold’s anthology, The invisible thread. Oh dear … she could have written that last year, and it wouldn’t have been out of place! I’ve only read one book by d’Alpuget, and that’s her biography of one of our most colourful prime ministers, Bob Hawke (to whom she is now married). However, she is also a novelist, with her books including Monkeys in the dark, Turtle Beach (which was adapted for a movie), and Winter in Jerusalem. She wrote her first novel, Monkeys in the dark, in Canberra, when she had a young baby. Turtle Beach, which won The Age Book of the Year in 1981, is set in Canberra and Malaysia, and explores the plight of Vietnamese boat people in Malaysian refugee camps. I’ve always meant to read this book and it seems like now – Australians will know why – would be a good time. Born in Queensland and now living in Melbourne, Rendle-Short lived in Canberra for a couple of decades. 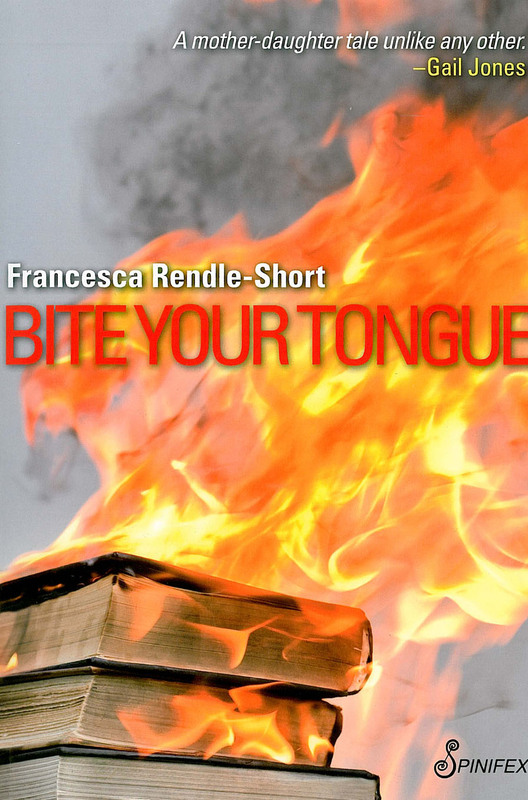 She has written, among other things, novels, short stories and the fictional memoir, Bite your tongue, which I reviewed a year or so ago. Her novel, Imago, which I haven’t read, is set in Canberra in the 1960s. Blogger Dani reviewed it last year in her blog Dinner at Caph’s, and included a couple of lovely descriptions of Canberra from the book. Lisa (ANZLitLovers) also reviewed it recently. She includes a lovely description of English Molly revelling in Canberra’s summer heat. This book sounds like it might be an interesting companion to Frank Moorhouse’s Cold light (my review) which covers the same time period but looks at life in Canberra from a very different perspective to Rendle-Short’s two suburban wives. Warren is an author I hadn’t really heard of before reviews of her books started appearing in the Australian Women Writers Challenge, and even then I didn’t realise her Canberra connections until Irma Gold’s The invisible thread anthology. Warren has, in fact, lived in Canberra for over 20 years. However, her genre is science fiction, which is not something I seek out. I did, nonetheless, enjoy her contribution to the anthology, an excerpt from her short story, “The glass woman”. She is a multi-award winning author in her field, so if you are into science fiction and horror, and haven’t discovered her, she is clearly worth checking out. I’d like to end this post on Gold. She has not had a novel published yet though I believe she has written one and is now on the publisher trail. However, she has published a collection of short stories, Two steps forward (which I reviewed a couple of years ago and which was shortlisted for the MUBA award). It’s an excellent collection that demonstrates a sure grasp of form. I particularly liked the way she mixes up voice and point of view. There are mothers, teenagers, children, old men, and they all – this is fiction after all – confront challenges, the sorts of real challenges anyone can face, such as a miscarriage, or seeing a terminally ill friend, or working in a detention centre. I can’t wait to see what her novel is about! As with all my regional literature posts, this contains an idiosyncratic selection and is by no means comprehensive. Some have written about Canberra, while others haven’t necessarily made Canberra their focus. They are all, though, interesting writers well worth following up when you have the inclination. You’ll have to read it to see MR! Check out your library. In a nutshell, she has written most of it in third person using another name for herself even though what she describes does come from her life. In a few chapters she returns to first person, commenting on what’s happened or outlining how she’s gone about her research into her parents. If you thought you had a challenging mother, try this one! Uh-oh … if it’s about mothers, dunno if I want to, Sue. But it does sound an interesting writing adventure, so perhaps I’ll bite the bullet. Oh dear! My husband didn’t like it either but not because of his mother. Not having a manipulative mother, I enjoyed the humour. I’m intrigued by how many women I know have been affected by their mothers to the extent that it colours their reading and viewing. Just remembered: it was called ‘Mother and Son’. Could equally well have been ‘Mother and Daughter’, of course; so I reckon Geoffrey Atherden had a mother like her. Always interested in anything about Canberra, having spent longer there than anywhere in my life, and spent some of my most challenging and exciting times there too. I remember Manning Clark saying once – this was in the 90s – that Canberra’s population was the same as London was in Shakespeare’s day and was arguably as creative . It was wonderful writing about it, learning everything I could about it, from its geological foundations to the evolution of its public service. And one of my principal aims in writing West Block was to champion the much/ maligned public servant. That was in the early 80s, during the Thatcher period, when Yes, Minister was all the rage and we in Oz were still reeling from the Coup. Hard to imagine there would come a day when conservatism was even meaner than it was then but I’m afraid we’re here, without much in the way of direction. Depressing , yes. But nothing lasts forever, even rampant neoliberalism and xenophobia, so I remain an optimist in spite of it all. Pity though about all the pain along the way. Thanks for your great posts, Sue – they make Mondays worth looking forward to and are a prime example of the net’s potential. Thanks Sara … You’ve made my day with your comment re my MMs. One of the positives about growing older is what you say ie that nothing lasts forever. One of the negatives is that when things are looking good you can no longer trust it as you did in your idealistic youth! As I said in the post, we public servants and/or spouses if public servants really like what you did in West Block. It captured the variety and complexity, the idealism and the machinations well. Thank you once again Whispering Gums for focussing on Canberra’s rich literary garden! thanks Dorothy … I have read one of Suzanne Edgar’s books and enjoyed it immensely. Thanks for the other recommendations. I will look out for them … I have a different Barbalet here so will probably read it first, but it’s good to know what others recommend isn’t it? Can I also mention Margaret Barbalet’s children’s picture book, Reggie Queen of the Street? This is one of the most perfect picture books I’ve come across, and I read it to my younger students every year. Oh thanks Lisa, I didn’t know she’d written a children’s book. That’s high praise from a school librarian. What an honour to be in such esteemed company! And it’s been so wonderful to see Canberra writers championed on WG. Always look forward to your posts pinging into my inbox. Thanks Irma. You’re place is well-deserved. Your short stories are beautiful. What a gorgeous overview… with every paragraph on each writer I was looking them up on Amazon to read them on my Kindle (fascinating subject matter, each one), but it seems only Kaaron Warren’s (who I recently met through other means – just lovely) books have branched out. This review really tempts me to buy a ‘real’ book (though I’ve been trying hard not to! )… just fabulous. Only Warren on the Australian Kindle store, Tara? Interesting! Only the “genre” fiction writer is carried by them. Most of the others are published by small presses, and some of those presses do sell e-versions but sounds like not in Kindle format. You’d make their day if you sussed them out. I can certainly recommend them. Thanks for commenting and showing your interest. Yes, that’s right – only Warren, I think (and I had asked her previously). It doesn’t surprise me but is frustrating… so many novels in the Kindle store, and yet so many novels which aren’t there, particularly Australian writers I’d love to support (eg some of Gillian Mears’ famous works aren’t there, when I last checked). Where’s the best place to scope out hard copy novels of these women – Paperchain? And you’re very welcome – not hard to get excited with such a great post! Paperchain and the NLA book shop would be my first ports of call. Do you know booko.com.au? A great site for finding online bookstores here and overseas that sell the book you are looking for (both print and e-versions). It lists all the stores (of those it searches of course) carrying the book and gives the price in Aussie dollars, including delivery/freight. Otherwise, besides the libraries, a good secondhand bookshop can be great, like Canty’s at Fyshwick. I haven’t been there for a while but it was and is I’m assuming still great for Aussie fiction. You can call them and they’ll tell you if they hold it. Beyond Q in Curtin has a pretty good collection too. I’m not so knowledgeable about northside secondhand bookshops. That’s really helpful – thanks so much! I will start researching. Such a wonderful group of writers from your city! Love the Dorothy Johnston story. Thanks Stefanie … It’s sometimes easy to forget what’s under your nose, I find, so I enjoy doing these posts. We do, though the bag is getting full already! Tim Tams, some of your clothes I think, and now books? Will I have space for myself? Oh yes, I saw your comment on Facebook and so Father Gums looked up the flights and saw the delays. How horrendous, but very glad to year you are safely down. Hmmm … I don’t know. Maybe he did or maybe your original flights still went and he watched those. I will ask. Thanks for this Dorothy. I was going to check it myself. I wonder if there’s confusion between the US and Aus store? Anyhow, hopefully Tara will see this and follow it up. Thanks, Sue. I’ve a lot to learn about digital publishing, but mostly it’s an exciting journey. When readers like Tara can’t find what they’re looking for, then that is a concern. By the way, I’ve been chosen as one of the judges for this year’s Barbara Jefferis Award – and this year it’s open to ebooks, for the first time I believe – Dorothy Johnston. It’s great that you see it as an exciting journey Dorothy. It’s so easy to fear and/or be negative about technology but it has a lot to offer. My 85 yr old mum who was negative a couple of years ago is loving being able to read Pickwick Papers on the Kindle. The Collins Classic is way too tiny for her to read now. Congrats on the Jefferis Award. That will keep you busy! Oh, now that is interesting, Dorothy. I guess there’s a website with the conditions? I had no idea you were Canberran; I’m from Canberra too. What a lovely post and so many books for me to seek out. As a former public servant myself i’m particularly interested in West Block. While my own novel isn’t set in Canberra, parts of it were deeply inspired by my time working at ComSuper, as was one of my short stories (http://janebryonyrawson.wordpress.com/2013/04/26/in-registry/). I’d love to write a whole novel set in Canberra in the late 80s and early 90s. I had no idea you were either Jane … I’ll check out you story. Are you still working in Canberra, or retired? You would really enjoy West block I reckon. I live in Melbourne these days, haven’t lived in Canberra since 2004. But family and friends are still there so I visit often. Ah, my son is there so we visit Melbourne a couple of times a year. Nice city, but I do love Canberra.